Greyhound might have left Bangor for a 24-hour restaurant but it also left one behind. With Greyhound now operating out of Dysart's 24-hour Truck Stop & Restaurant, the large white Greyhound marquee has been removed from the Bangor location revealing the old 24-hour restaurant that was housed there fifty years ago. 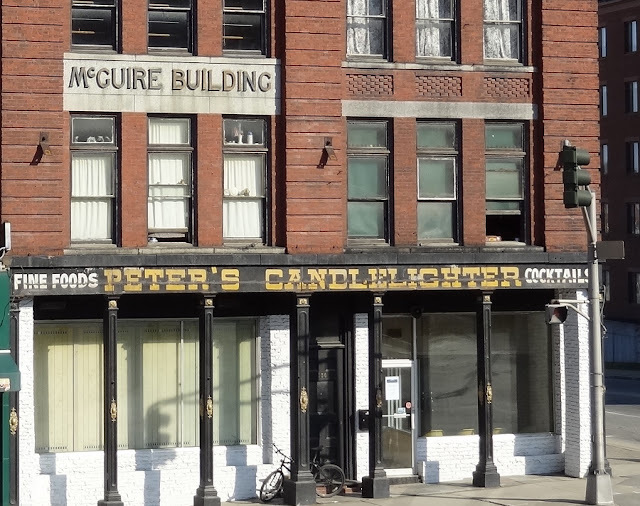 Peter's Candlelighter Restaurant, serving hungry travelers until the 1980s when a fire snuffed it out for good. Anyone still have the old menu?